LAZY DOG OWNERS. 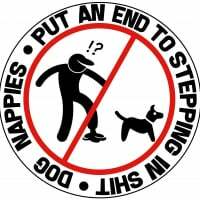 USE NAPPIES ON YOUR DOG! Moving out! What happens to dog? Why would my fixed dog hump my other dog when other dogs are around? My brother's best Bubba died and I'm looking for breeder, only know name.Please help!!! How did Dr. Kramer die? How Do I Post Pictures In Forums? What do the numbers besides the forum post titles mean? Why am I still a Guest? How would I go about making a suggestion for a new forum? my beagle ate a crayon. Is it harmful? question about service dogs in public and who people respond. New forum. Can you post? Help!!! My dog ate a dirty diaper!!! How do I close a question, on the forums? How do I post a comment on a forum or answer a question?